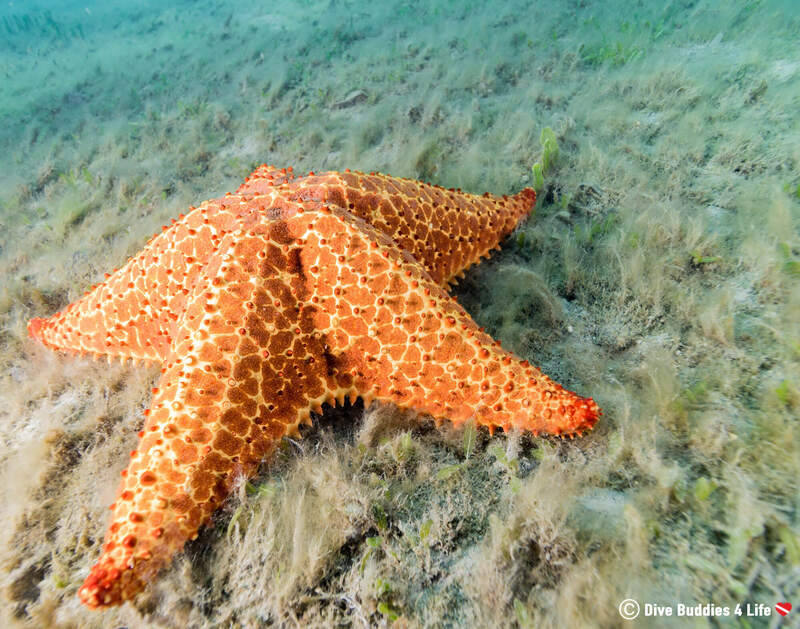 Florida’s Blue Heron Bridge has left me with a love of shore diving like never before! 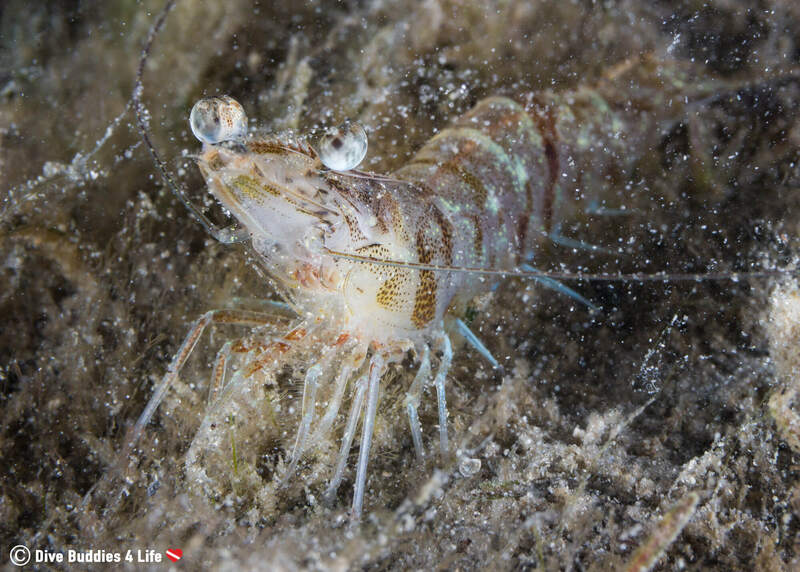 Mud, beaches, wrecks, artificial reefs and small critters galore. 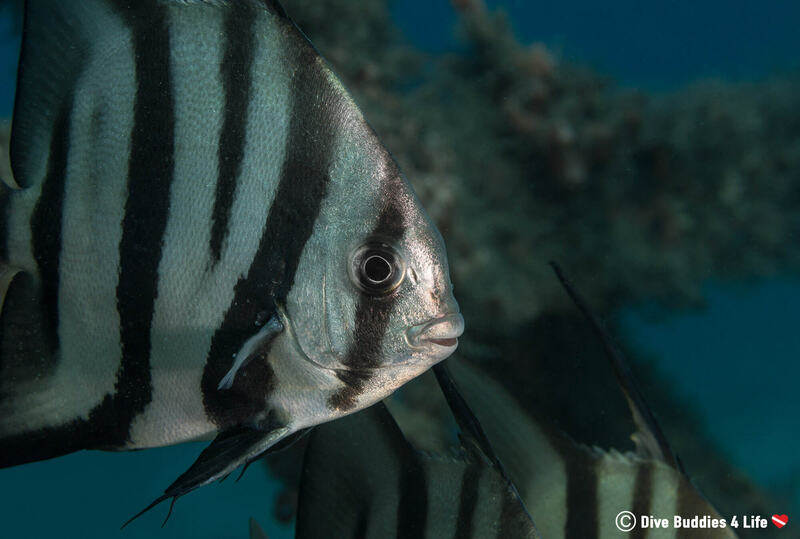 No matter where you choose to dive under Blue Heron Bridge, there is so much to see, explore and photograph. 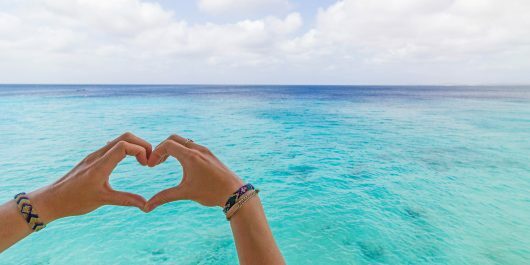 As one of the sunshine states best shore diving destinations, Blue Heron Bridge offers some of the best diving in the country. Where in Florida is Blue Heron Bridge? Blue Heron Bridge is found in West Palm Beach; a vibrant and dynamic waterfront city located a mere hour and a half from Miami. 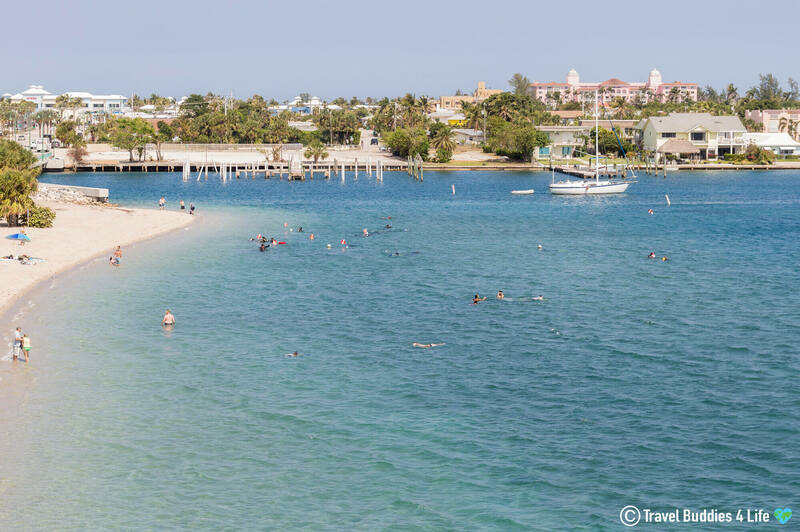 The beach and shore diving site, are one in the same, nestled along the edge of Phil Foster Park, a beautiful patch of green space on Singer Island. The park itself is situated along the Intracoastal Waterways (IWC), a 4,800 kilometer stretch of US inland waterways running from Boston, Massachusetts to the southern tip of Florida and then Gulfward to Brownsville, Texas. For a first-timer unfamiliar with the area, Blue Heron Bridge can be an intimidating dive site. Where do you go, what can you see, what about the strong current? Because of the bountiful currents as the water transitions out of the Intracoastal Waterway, the best time to dive Blue Heron Bridge is ½ hour before to a ½ hour after high tide. Diving outside of that window can put you at risk of dealing with heavy currents, and it is strongly advised to check the tide tables while planning your dive. Most dive shops in the West Palm area tend to have a seasonal brochure with the BHB dive times highlighted. As someone who has spent a few weeks diving at Blue Heron Bridge, you can easily tell when the tide starts to pick up as the visibility deteriorates – pretty quickly. Because it is a little bit of a swim to get to the favored dive areas under the bridge, what most divers (ourselves included) seem to follow, as a rule of thumb, was to enter the water about an hour before high tide and slowly make their way towards either bridge side. Important Note: Phil Foster Park is only open from sunrise until sunset. Being in the park, let alone diving is not allowed at any other time unless by a permit from the county. 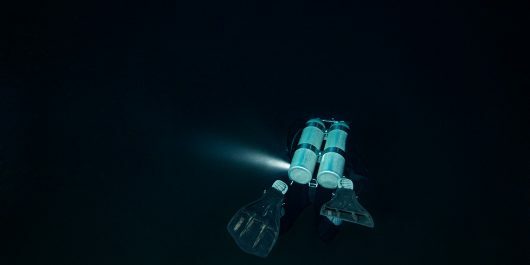 Typically once per month dive shops in the area will organize a free guided or unguided night dive at Blue Heron Bridge. 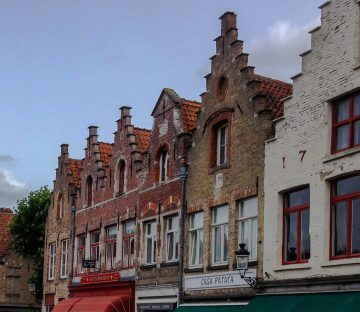 Through these shops, you can obtain a parking permit for the evenings night dive. 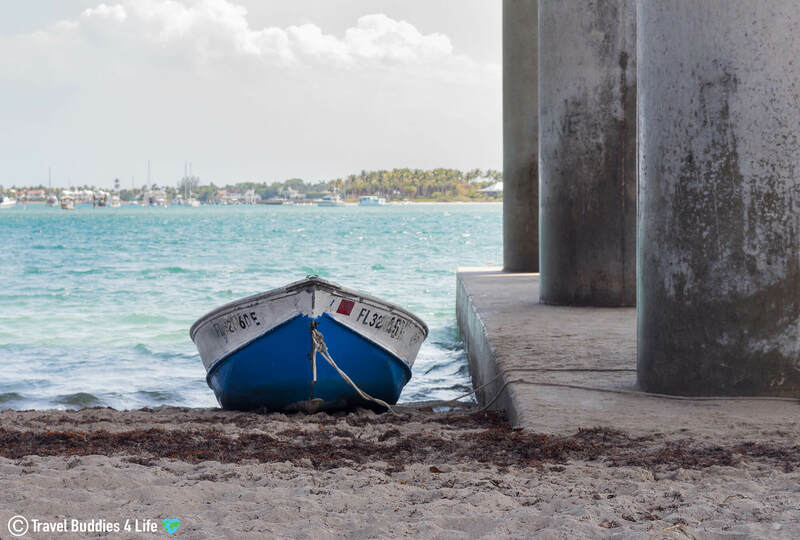 From the moment you pull into Phil Foster Park, you will want to take a left and head towards the underside of the bridge where you will find a sandy beach area, play structure, and outdoor showers (yes divers can use those to rinse). If you arrive early enough, you will get a front row parking space along the beach, if not make sure to park in the designated vehicle parking area. Steer clear of the boat and trailer parking spots. On the weekend the spots fill up FAST and sometimes the wardens even block the park entrance so make sure you arrive early and give yourself plenty of time to find a parking spot. 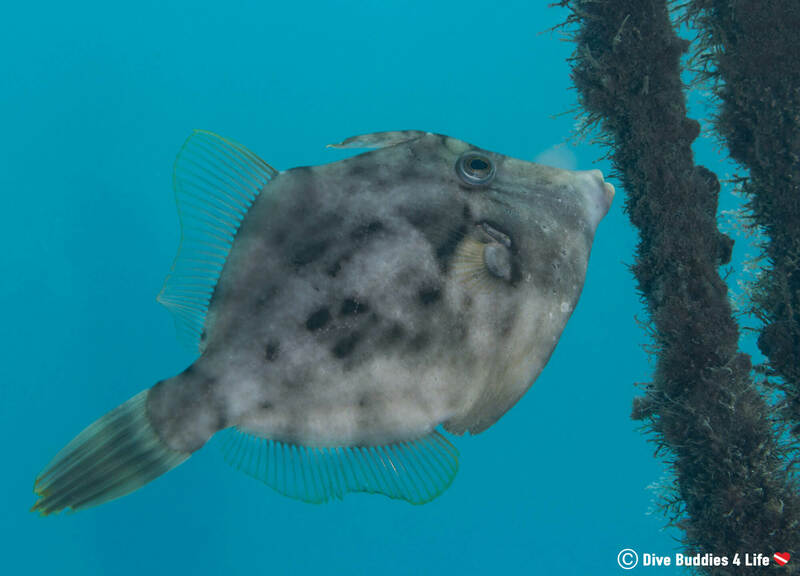 Beyond the obvious sandy beach and amazing waters, the Blue Heron Bridge dive site has a few other perks all within the confines of Phil Foster Park. The park has an onsite scuba shop (Stuart Scuba) which is perfect for gear rental and last minute tank fills. What’s more, there are also on-site restrooms, picnic tables, BBQ grills and rinse showers, ideal for pre and post dive setup and teardown. 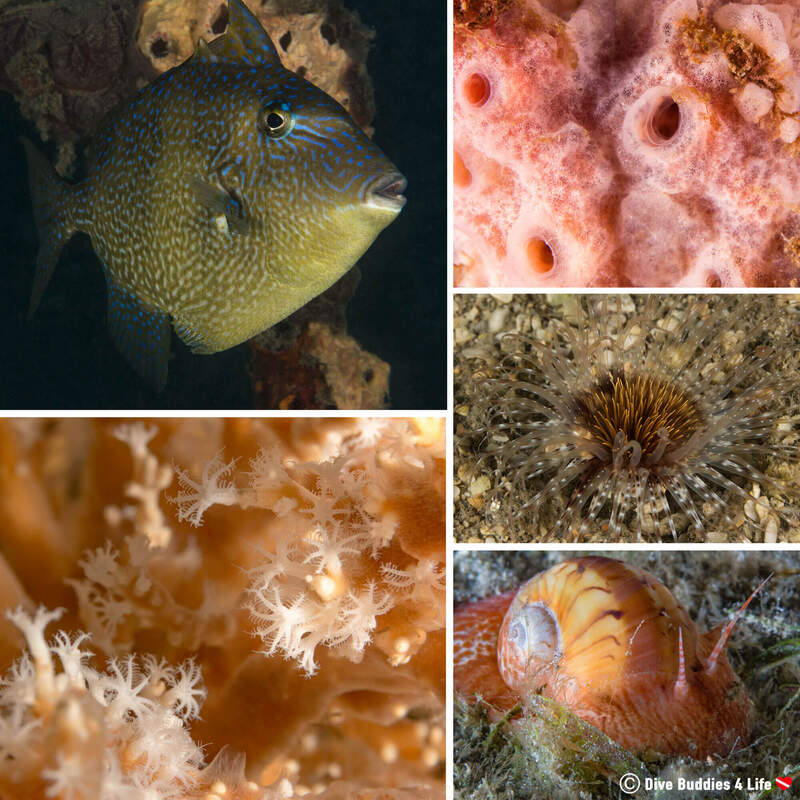 There are many different areas of Blue Heron Bridge to discover and an astounding amount of sea life to go along with it! The primary point of entry for the Blue Heron Bridge dive is on either side of the main beach. 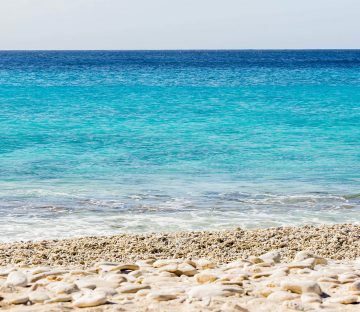 As a courtesy to those enjoying the beach, divers are asked to try and stick towards the outside, when entering and exiting the water. The main and arguably best attraction at Blue Heron Bridge includes the small bridge at the southeast side of the park. 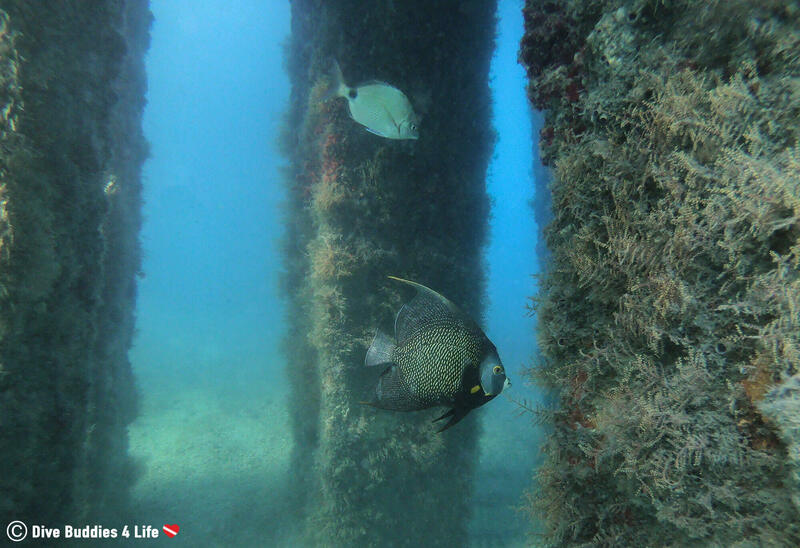 Here divers can enjoy navigating in and out of the bridge columns following schools of spadefish, grunts, and filefish. 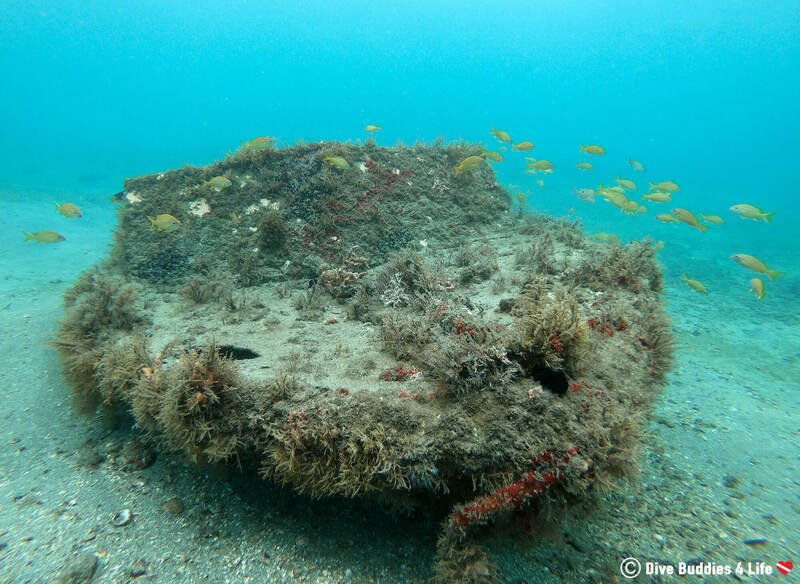 This area also has a collection of small submerged wrecks teeming with marine life and plant growth. Another dive option is to head to the southwest side and explore the main/larger section of the bridge. This side tapers down to about 6 meters (20 feet) and is one of the deeper parts of the BHB shore dive. Similarly to the southeast side, in this area, you will find a diversity of species around the bridge’s enormous cement columns. This side of the bridge ends in a wood blockade warning divers not to continue into the major boating lane right on the other side of this barrier. 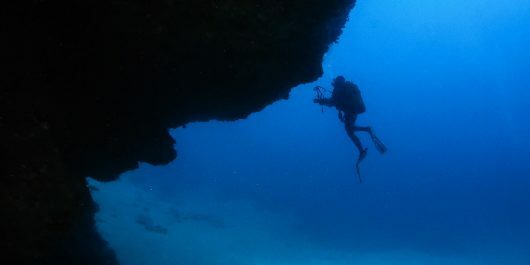 If the southwest and southeast sites don’t interest you, divers can always head along the artificial snorkel trail which runs parallel to the shore near the outer proximity of the swimming area. When shore diving Blue Heron Bridge it is always important to keep in mind that the tidal flow can be strong when it is not high slack tide. In addition to this, a very busy boat channel runs just off the shore and under the middle of the bridge; therefore divers are required to tow a dive flag with them and remain inside the buoy markers. Typically on flag per team of divers is sufficient. When you first put your mask in the water at Blue Heron Bridge, you will see a pretty featureless landscape filled with muck and the occasional area of scattered grass stretching as far as the eye can see. 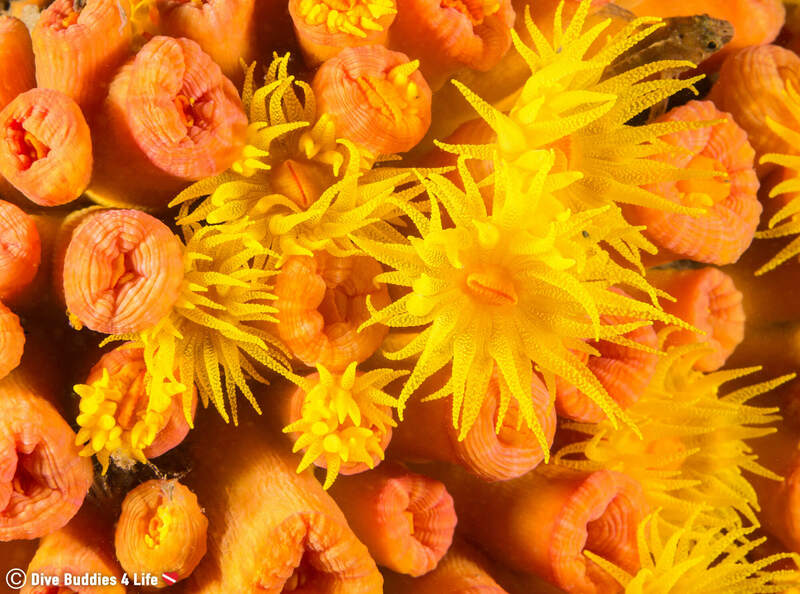 It’s definitely a far cry from beautiful coral reefs Florida is so famously known for. By training your eyes and slowly moving over the muck, you will quickly discover that searching out movement is how you reveal the macro beauty of the Blue Heron Bridge mucky wasteland. 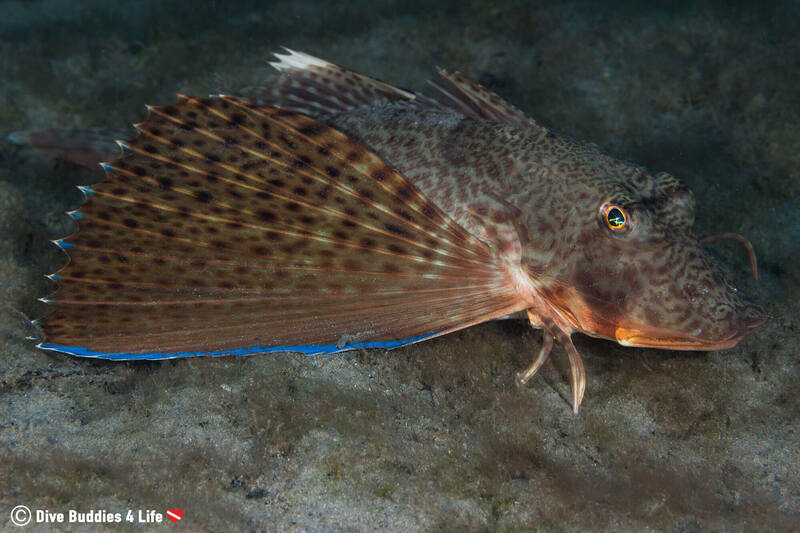 Careful fin kicks and slow propulsion is key to enjoying a decent dive, as the thin layer of sediment on the bottom is easily disturbed. The clearest water tends to be under the east and west bridges, coincidentally where the water is the deepest (around 6 meters/20 feet). For the rest, the average depth is in the 3 meters (10 foot) range. In addition to macro animal and bridge columns, visitors can find small wrecks, statues and artificial reefs scattered across the diver/snorkeler friendly area. 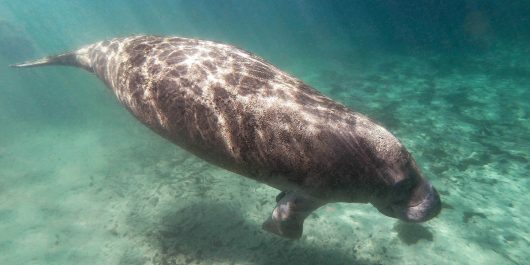 There are lots of animals to be seen underwater at Blue Heron Bridge. Thanks to the tides and the diverse ecosystem, the Bridge is teaming with an assortment of life in a pretty small area. It’s a macro lovers paradise. I spotted a number of species I had never seen before outside of an aquarium. 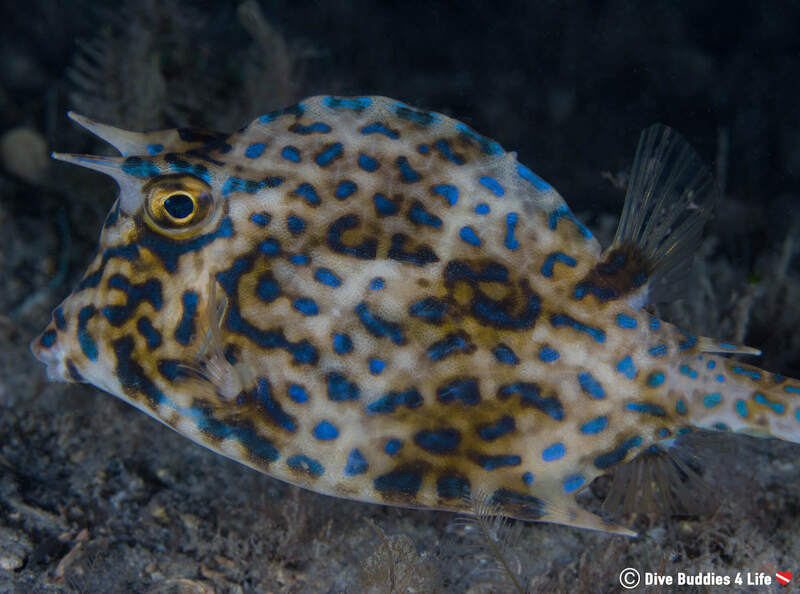 From a timid trunkfish who downright refused to smile for the camera to hundreds of shiny french grunts floating along with the current. 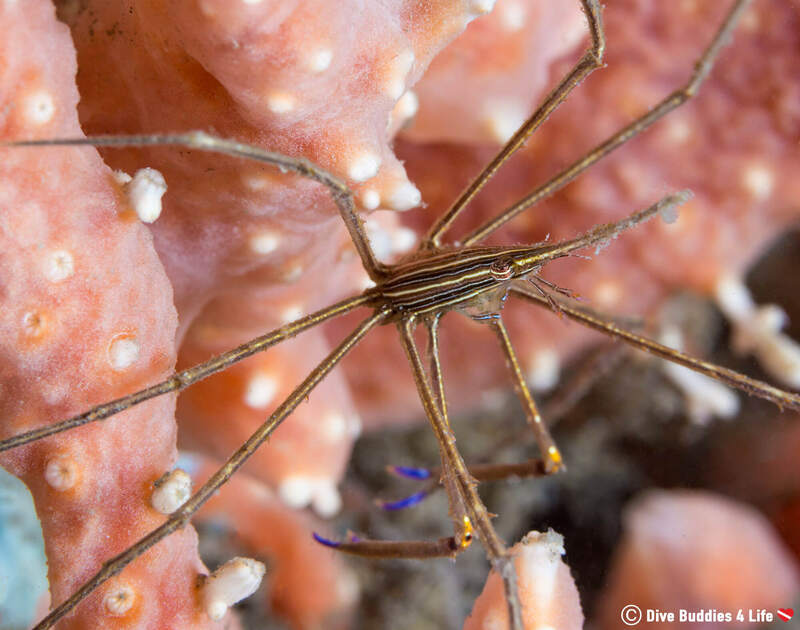 There also were lots of different species of crabs, some spiny lobsters, eels, filefish, barracuda, and encrusting sponges. I got some neat photography shots of loads of different things. 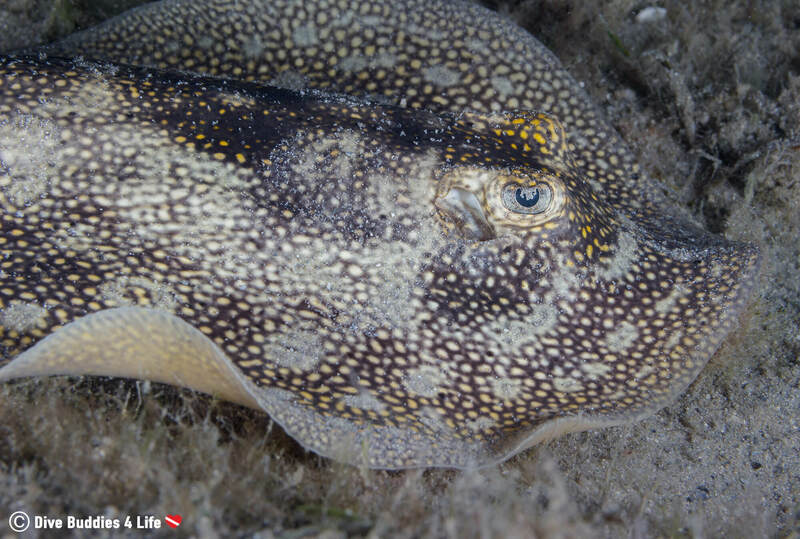 In fact, on almost every dive we did over the course of our three weeks in West Palm Beach, we saw a different species of animal. Talk about diversity! 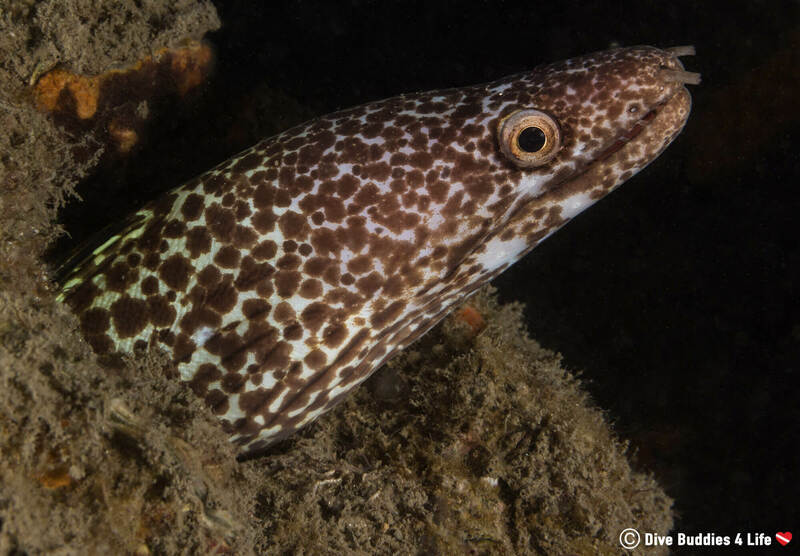 We were even lucky enough to come across some of the less common species such as stingrays, octopus and even a couple of mating horseshoe crabs on a night dive. Don’t worry we covered our eyes! I was really hoping to find the ever elusive seahorse, and we searched high and low, but alas, luck was not on our side. 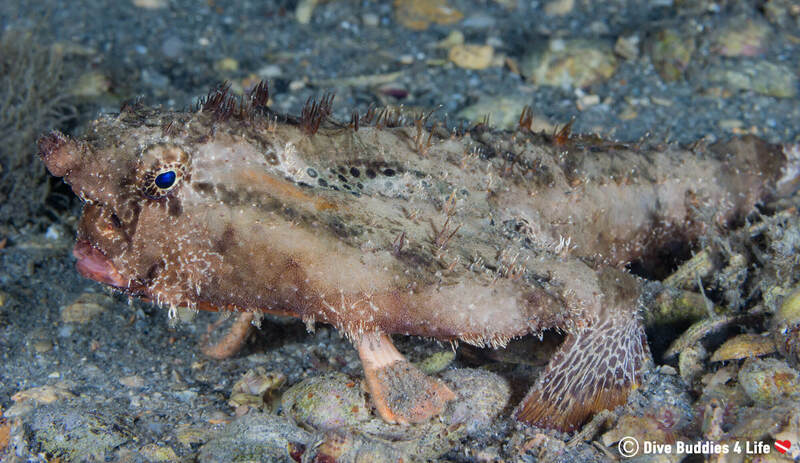 Of all the new marine species we were introduced to at Blue Heron Bridge, for me, the batfish won the strangest creature prize. He looks like he’s some weird science experiment gone astray. I can’t decide whether he looks more like a frog or a salamander. Isn’t he so ugly, he’s cute? 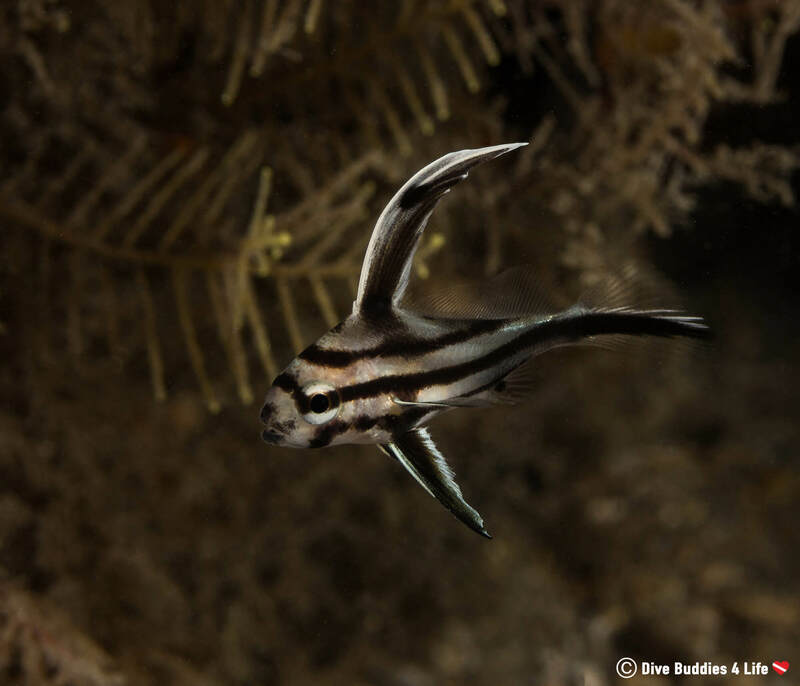 Interesting Fact: Batfish are weak swimmers and have adapted for a lifestyle of crawling about on the seabed using their modified fins like legs. Not scuba certified? No problem! You can snorkel the Blue Heron Bridge too. 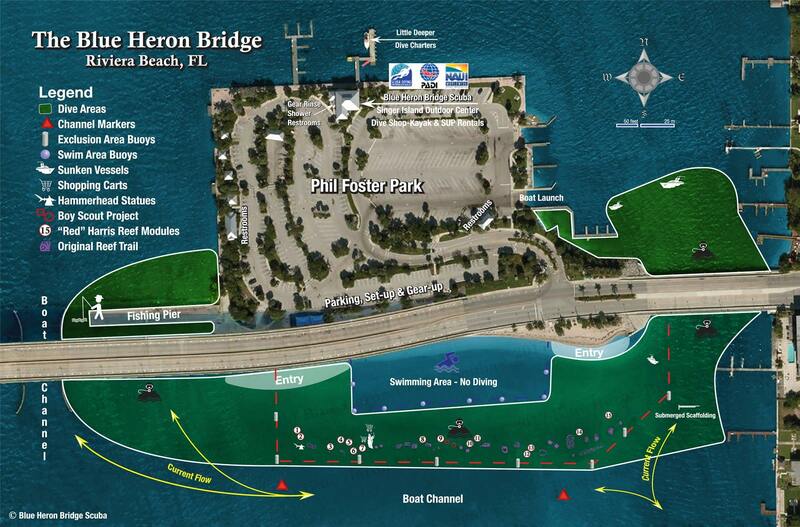 Back in August 2012, Phil Foster Park build an 800-foot long artificial reef trail to encourage snorkelers to visit the wonders beneath the water of Blue Heron Bridge. The reef spans around the perimeter of the designated diving region and is made up of more than 600 tons of Anastasia rock boulders. The boulders are scattered in linear clumps between depths of 6 to 10 feet of water. 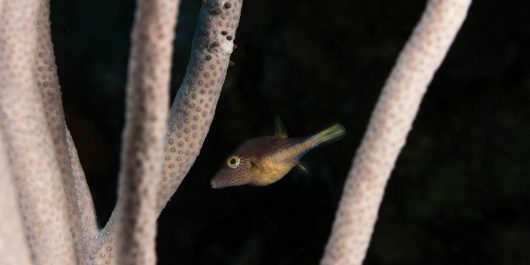 Now the snorkel trail is home to countless species of marine life, including juvenile tropical fish. 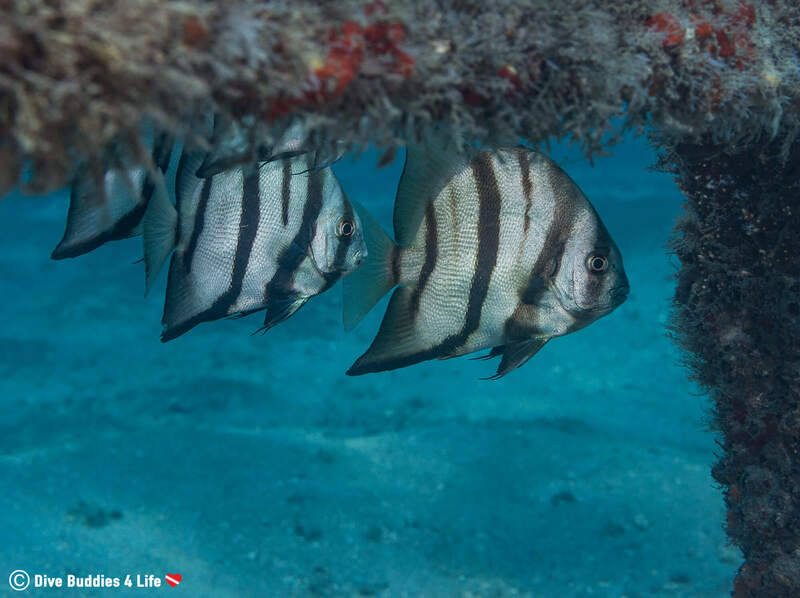 Apart from the artificial reef trail, the bridge area also has a few small wrecks that are shallow enough to be explored via snorkel and some pretty cool looking shark statues! For a couple of cold water divers, shore diving at Blue Heron Bridge is like hitting the scuba diving jackpot. The dive site is so shallow you can max out your bottom time and stay down for over an hour if your tanks allow it. It’s the perfect place to practice your buoyancy if you are a beginner, work with a camera if you are a photographer and find an exorbitant amount of life if you are an animal lover. Top that off with the fact that this dive location is 100% FREE if you have your own equipment and you’ve got yourself an instant favorite! 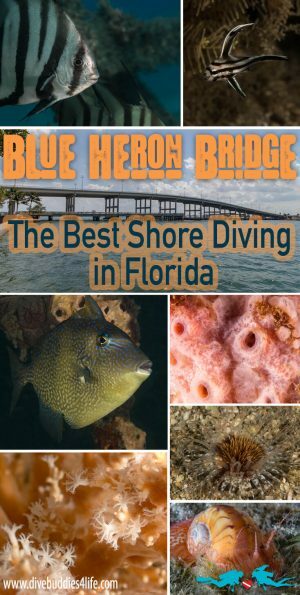 Ask us if Blue Heron Bridge should be put on your Florida dive list and we will say YES a hundred times over. The cost with regards to diving Blue Heron Bridge can be split into two different sections depending on if you have your own gear or are looking to rent. As a diver traveling with your personal scuba gear (including tanks and weights) diving Blue Heron Bridge is dirt cheap. 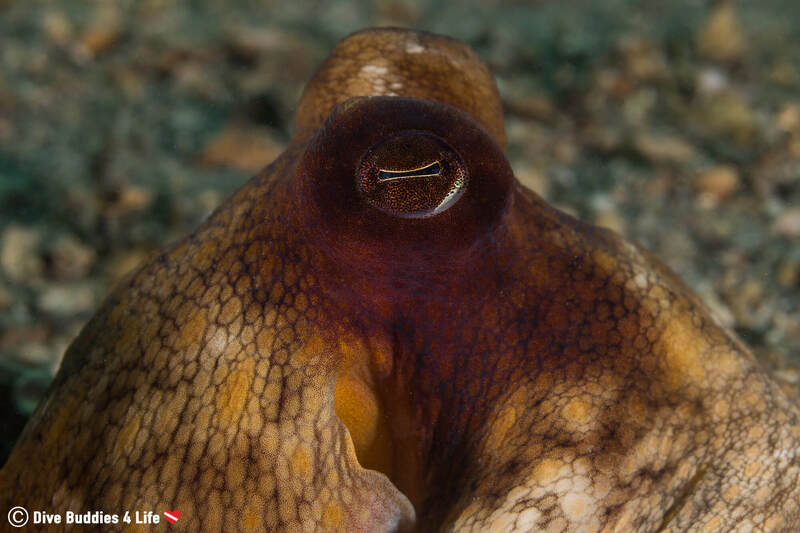 The dive itself is virtually free, the only thing you will need to ensure afterward is that your tank gets filled. With several dive shops in the immediate vicinity, I’m sure filling your tank will not be a problem. Shops typically charge 6-7 USD per fill, or if you ask for a ten dive fill card, the price gets bumped down to 5 USD. 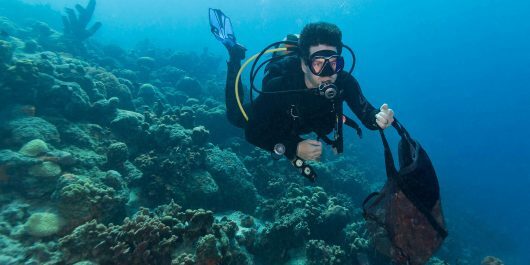 If you are a diver who needs to rent all your gear for a dive at Blue Heron Bridge, the cost depends on what pieces of equipment you want. 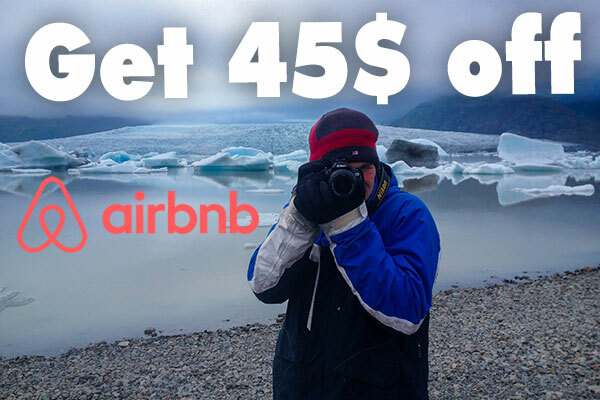 It can be as little as 10 USD for a single item to 80-90 USD for the full ensemble (wetsuit and booties included). Equipment rentals are typically for a 24 hour period. 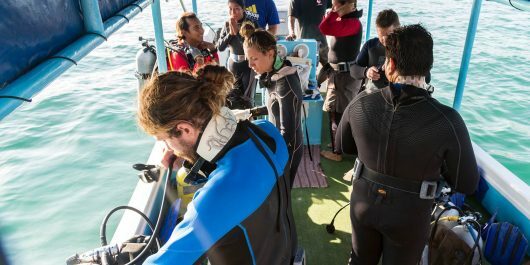 Should you require a dive guide, the price is 125 USD for guiding one or two divers. In all honesty, given the location, tidal fluctuation, and diversity of life, Blue Heron Bridge is available and suitable to dive all year round. The most significant factor that will influence visibility and quality of dive is weather, wind, rain, tides and when the engineers at Lake Okeechobee decide to draw down the lake level. 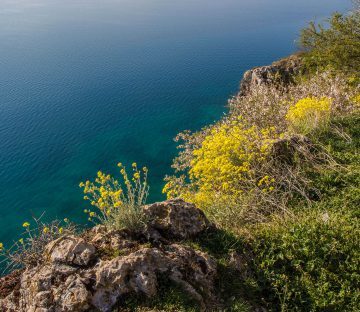 In the summer months (May – October) the water gets up to 29 degrees Celsius, and from January to April, the water temperature can dip down to 21 degrees Celsius. Blue Heron Bridge is a public shore diving beach which is accessible to divers and non-divers alike. 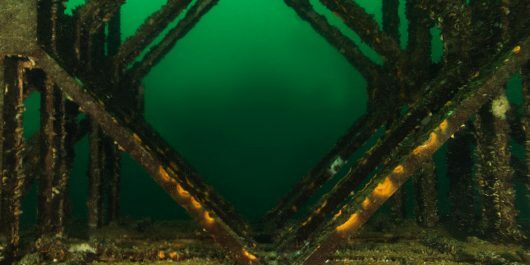 Because the bridge is a public space, when it comes to diving the site isn’t monitored and the reality is anyone who can get their hands on scuba gear could give it a try. 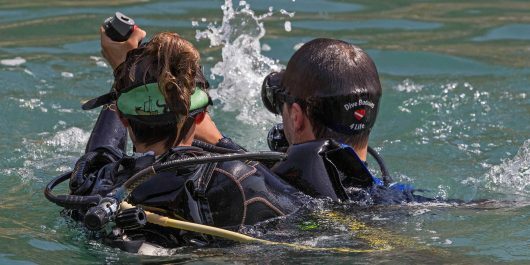 It is a very shallow, simple and beautiful submersion spot for anyone with their Open Water Certification looking to become better divers. The park is open from sunup to sundown. 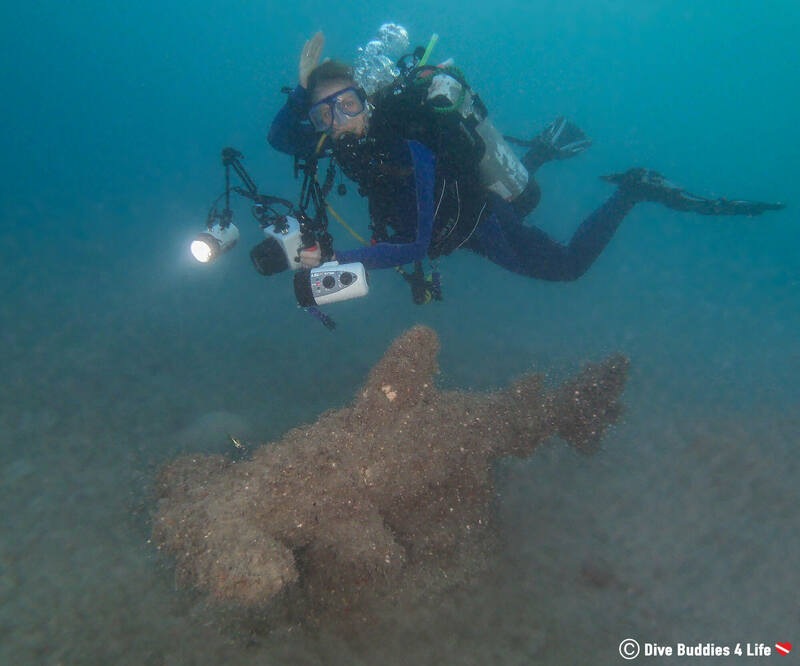 Divers are not permitted to be diving at night except with a permit from the county (Sometimes dive shops from around the area will get the permit and offer a free night dive event). Because of the heavy boat traffic, divers are required to carry a surface buoy on them when diving the bridge. 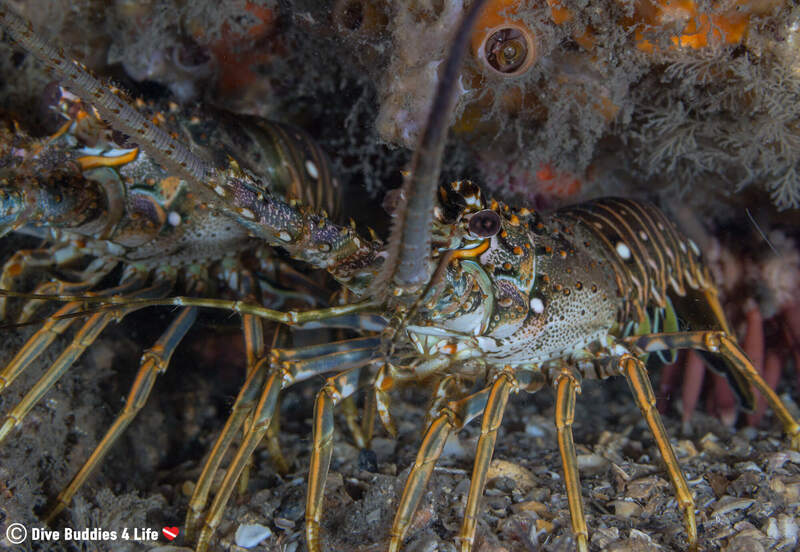 There is no shortage of diving shops in the West Palm Beach area, especially around Blue Heron Bridge and Phil Foster Park. We used Blue Heron Bridge Scuba which is one in the same as Stuart Scuba. We also checked out Force E and Pura Vida Divers all of which were fantastic and super friendly shops. Stuart Scuba is excellent because it is located right onsite in Phil Foster Park. Force E has convenient shop hours (typically open 8 AM to 8 PM), and Pura Vida has a good-natured and welcoming family-like atmosphere. Writers Note: Thanks to the crew at Blue Heron Bridge Scuba for giving us a quick in shop orientation on the Blue Heron Bridge Dive site and for being our go-to people for tank fills! We look forward to traveling down to your neck of the woods again.